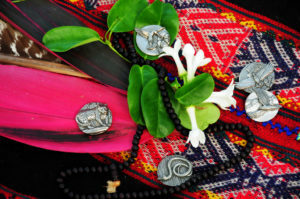 The Munay-Ki are the nine great rites of initiation into the medicine way and to becoming a person of wisdom and power. The word munay means, love you or Be As Thou Art and ki means power or energy. The Munay-Ki are the nine gates that heal us and transform our human energy field into that of Homo Luminous. Many of you have received such a calling and long to make a difference in the world and in your life. When you answer this call and come with sincere intention and an open heart, you’ll soon notice that you are not alone. The Munay-Ki are a series of Nine Energetic Transmissions that clear your Luminous Energy Field (LEF) of the imprints left by past traumas. As the Rites are received, your chakras become clear and you’ll acquire what is known as the rainbow body, as the colors of your chakras radiate brightly and are returned to your original vibration. Eventually, as you receive and process these Rites, you download a new version of the software that informs the luminous body, which will then inform your DNA, giving it instructions on how to create a new body that will age and heal differently. Upon completing this training you will be able to transmit all nine rites that you have received to your clients and loved ones. You will learn how to assist a client or loved one through an accelerated process of transformation, including installing protections in the LEF, awakening the seer within, re-connecting to the feminine and the earth, and awakening an ancient and future wisdom within you. You will receive a Munay-Ki DVD, a pie stone used for transmitting the Rites and a class manual. Teachings of the Medicine Wheel are introduced, as well as the major Archetypes of the Peruvian tradition and how to open Sacred Space. 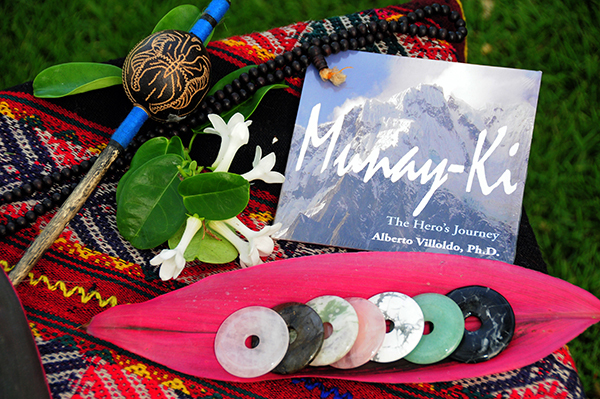 The Munay-Ki re-connects you with the natural world, seen and un-seen, and reaches into the universe to return the magic to your life. Together, the rites provide a powerful experience that connects you with your true essence, deepens your intuition and guidance, opens your heart, provides deep healing and aligns you with your Authentic Self.